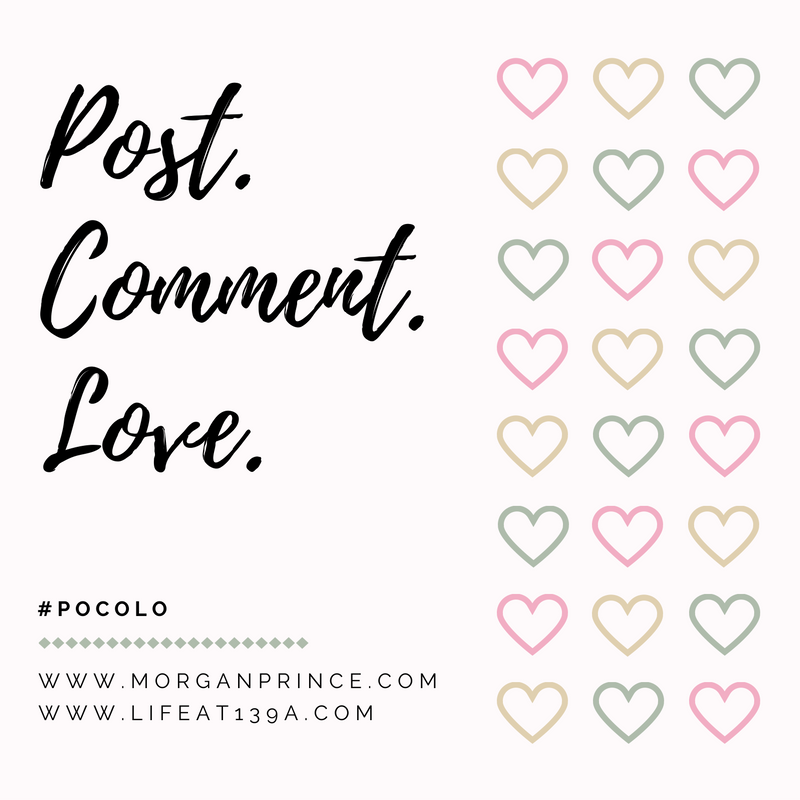 Welcome back to another Post Comment Love with Stephanie and me, link up your best/favourite post of the week and we'll give it some extra love! Can you believe it's almost December? In fact it's just one month away from Christmas Day - how ready are you? I'm not. Not at all. I have bought a few bits and pieces but nothing really interesting and I don't even have many ideas. This year I feel like it's crept up on me quietly and now it's like "ta-da" and I can see myself scrambling to buy anything remotely interesting just to say I did it. When you're an adult I think you get to a point where you've already bought all the different kinds of presents you could ever think of for previous birthdays and Christmas and you end up stuck for ideas. For the women in our family we done the jewellery thing, the perfume/bath set thing, the pamper (spa day) thing, and gift cards don't really cut it - so what on earth do you get? The silly thing is I can think of plenty of things for myself - of course being a blogger and seeing lots of posts entitled "what a blogger wants for Christmas" might help with that! It wasn't that long ago I was saying I didn't want anything! Christmas is taking up a lot of thinking time at the moment, obvs, but we've got a lot of other stuff going on too. Next week we're having our heating system changed, we had a call about a month ago about an Air Source Heat Pump - to be honest it's all rather complicated but the idea is that we won't pay for gas for our heating anymore. There will be a device outside our house, kind of like an air conditioner, and it will draw heat from outside and use that to heat our house. Like I said it's all complicated but we're having it installed next week, on Wednesday, so heating our house from next week should be a lot better. Time will tell. It would be good to have our heating issues sorted before Christmas. Okay so I don't usually comment on the Blogger Showcase before I list it but this time I wanted to because our Blogger is Kim from Northumberland Mam. I've read Kim's blog for a few years now (and love it), and she is a regular linker to Post Comment Love. Kim is a lovely blogger and I hope you show her all the blogger love. I'm Kim. A nearly 40 year old. Eek! I am a stay at home mam from Northumberland up in the North East. I live up here with my fella Stu who sometimes gets a mention on my blog and I have two girls Becky my teen and Ellie my tween. I used to enter a lot of competitions...I still do. I discovered blogs running giveaways and started reading them. Sometimes a none giveaway blog post would catch my eye and I felt the need to read and comment. After reading a lot of blogs I thought I want to do this. Blog and write about our lives. So I did and in November this year my blog will be five years old. Turning down paid blog posts.....I don't earn money for personal reasons from my blog and it is so hard to say no to paid blog posts. I do though. A few years ago I tried to make a living from blogging and as a family we ended up worse off financially. My girls and the journey we have been on as a "heart family". I have a heart defect and both of my girls did. They had open heart surgery and I like to raise awareness about CHD's. When I started blogging I had goals. To reach so many followers on social media, to be in the Tots 100 and to have something amazing sent to us to review. I have achieved all those goals so now it is just for fun. The different people I have made connections with. There is a few bloggers which I would class as friends even though I have never met them. Bloggers are awesome people. No. There are times when I really want to meet up with all the amazing bloggers I speak to online but then the fear takes over. I am a shy person in real life and when confronted with strangers I turn into a gibbering mess. As of writing this I have written 1944 posts! Eek! So to choose just 3 is hard. These are 3 which sprung to mind. Coffee and cake but I do like to dunk biscuits in tea. With my best friends at our local pub with plenty of wine and good music. A takeaway, wine and a film with my fella. I am always there for people. Thank you so much for taking the time to answer our questions Kim, I hope one day we get to meet! Please feel free to grab our 'featured' badge and display it ever-so-proudly on your blog.